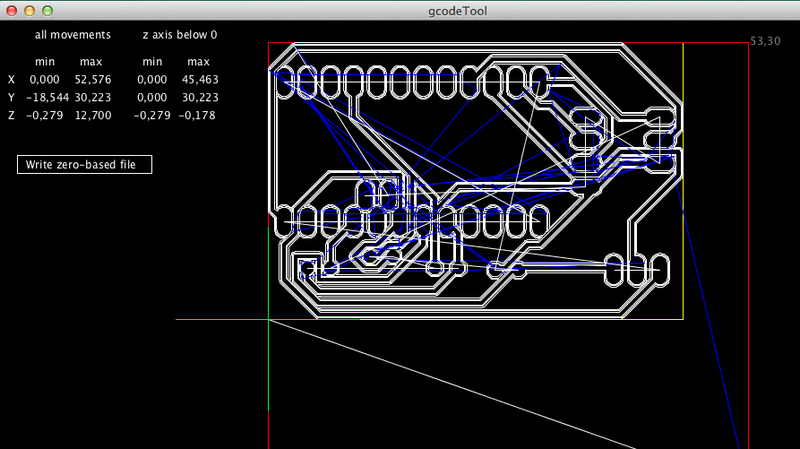 The plugin for Eagle PCB CAD called pcb-gcode is great, don’t get me wrong. But somehow it wants to start the coordinate system so that the X values are negative. Also it made some strange “margin” in Y-axis which makes alignment of the actual PCB to be milled difficult. 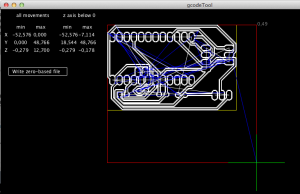 automatically detect the actual “working piece” (values with negative Z) and use the working area’s “zero” as actual workpath zero. This way you can set the home to zero at the physical location where you want the mill to be started. This entry was posted in Yleinen on 19.8.2014 by admin.